The biggest loser in this Seimas election has been the Labour Party, having failed to pass the 5% vote barrier. That said, no less a blow was that to the Lithuanian Social Democrat Party (LSDP) which had been dominant in ratings nigh on up to election day. What do the Social Democrats need to do after this loss to Gabrielius Landsbergis’ Conservatives and Ramūnas Karbauskis’ “Peasants”? The Social Democrats were left third in the multi-mandate electoral district, trailing behind the Homeland Union – Lithuanian Christian Democrats (TS-LKD) and the Lithuanian Peasant and Greens Union (LVŽS). TS-LKD took 20 mandates, while the LVŽS took 19, with the LSDP only taking 13. In the last Seimas election in 2012, the Social Democrats were supported by over 250 thousand voters, this time earning the support of only 183 thousand. Over four years the party lost 70 thousand voters. Things to not look good in the second round either. 21 Social Democrat candidates entered the second round, which is two times fewer than TS-LKD and LVŽS. Such a situation looks odd because during the Social Democrat term, the state economy did not experience a downturn, while party chairman and PM Algirdas Butkevičius continued to hold on to high popularity throughout the term. Nevertheless the last year of the Social Democrat led coalition government included a number of corruption scandals, its ministers radiated incompetence in public view, while the term ended with a highly unpopular Labour Code, which was pushed through by the PM’s initiative. After their poor performances in the Seimas election, two coalition partner leaders resigned already – Valentinas Mazuronis of the Labour Party and Rolandas Paksas of Order and Justice. 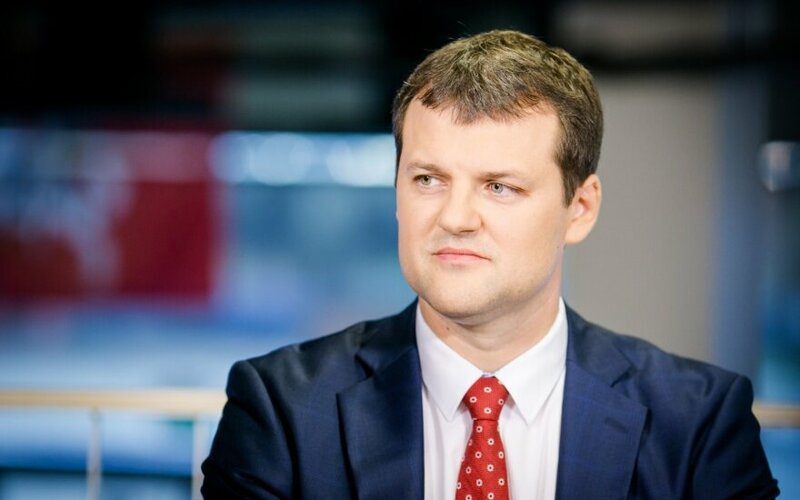 Since there are no objective external reasons which could have brought down the LSDP’s popularity, the responsibility for the loss could go to the party leader A. Butkevičius. While he does not appear to be in a rush to resign as of yet, the public sphere is already rife with discussion on how the Social Democrats will appear after Butkevičius’ unsuccessful term. With former communist patriarch Algirdas Mykolas Brazauskas resigning from the post of PM in 2006, the Social Democrats were faced with a crisis of leadership. Unofficially it is said that Brazauskas wished to see the then Minister of Finance Zigmantas Balčytis as his successor, but the latter failed to elicit party support and Gediminas Kirkilas became the new PM. After the loss in the 2008 elections, A. Butkevičius would become the leader of the LSDP. If he were to resign from party leadership, the best chances to take over his role go to the party old guard. The most likely candidates are those with a high number of priority votes from the multi-mandate district, these would be G. Kirkilas, Algirdas Sysas and Juozas Olekas. Olekas was touted as a likely candidate for PM after the 2014 presidential elections, if Butkevičius had participated in them, however now Olekas’ chances of rising further in his political career are curtailed by the so-called “golden fork” scandal which shook the Ministry of National Defence in September. With this, Olekas’ name is not among the most popular politicians, with him unexpectedly losing to a LVŽS candidate in the Sudovia district. As such G. Kirkilas is a more likely successor to Butkevičius, albeit that his leadership from 2006 to 2008 also ended with an electoral loss for the Social Democrats. On the other hand, unlike Butkevičius’ case, Kirkilas’ loss could at least partially be blamed on the global economic crisis. Nevertheless Kirkilas is faced with a similar problem to that of Olekas. Both the politicians are popular among LSDP voters, but they are unable to attract new electorates because their popularity in general society is limited. Based on a recent Vilmorus poll, J. Olekas is eighth among the most popular politicians, while G. Kirkilas is not even mentioned. In terms of party ratings, both of them would be even poorer choices than Butkevičius. Up to now the Social Democrat government has had little interaction with leftist ideological values. The PM’s support for the Labour Code, intended to liberalise the social model, only supports such an observation. This final misfortune of Butkevičius could encourage those Social Democrats, who believe that the party failed in the elections due to an overly pragmatic policy line. The most notable supporters of this wing are A. Sysas, who keeps talking of progressive taxation and Vytenis Povilas Andriukaitis, currently working at the European Commission. The former is fourth on the LSDP electoral roll with 26 thousand priority votes, but left fifth in the Šeškinė district. Sysas is unpopular in the capital and it is unlikely he would attract voters for the Social Democrats. His chances to become head of the LSDP are decreased by it being specifically his hand steering the LSDP election campaign up to their loss. Meanwhile Andriukaitis did not even manage to hold on to his post as Minister of Healthcare in the current cabinet. Political couloirs are rife with rumour that he was “exiled” to Brussels. This signals serious disagreement with key internal party groups. Furthermore it is doubtful whether Andriukaitis would want to cede his cushy seat as European Commissioner for a seat in Vilnius. Finally the Social Democrats can take a far more radical step. A few years ago this was done by the TS-LKD, when the particularly unpopular party Chairman Andrius Kubilius stepped down and handed over the steering of the party to the then lacking political experience Gabrielius Landsbergis. While many ridiculed Kubilius’ decision then, it is clear today that a timely renewal of the party has paid off – Landsbergis managed to form his own team, whose members have gone into the second round of this year’s election, while the party in general took first place in the multi-mandate district. Among the ranks of the LSDP, renewal could also be left to the younger generation, for example Vilnius deputy mayor Gintautas Paluckas. If he, as Landsbergis, managed to bring well known and more famous young Social Democrats into higher positions in the party, perhaps attracting some of the more progressive future members of Seimas from LVŽS, the LSDP positions prior to the next election could be similar to those of the current TS-LKD. On the other hand, a youth-based LSDP electoral roll is at least currently not popular in the big cities. For example in the Vilnius municipal elections in 2015, the Social Democrats were left fifth, with G. Paluckas taking only seventh place in the mayoral election. Another alternative – the young mayor of Jonava Mindaugas Sinkevičius, who took 70% of the vote in last year’s mayoral election first round. This politician could be a sort of compromise – he is fairly popular in the regions, while also not scaring away urban voters. Another means of renewing the party could be taking currently popular politicians. According to Vilmorus, one such case is the well-received Minister of Foreign Affairs Linas Linkevičius. He is not only popular among the general populace, but also among the Social Democrats themselves, rising from 34 to 9th in the electoral roll. Nevertheless, the fact that Linkevičius was only given the 34th position clearly shows that he would receive little support in obtaining management positions in the party. Another path to renewal could be through former member of European Court of Auditors Rasa Budbergytė, who was placed third both by the Social Democrats themselves and by voters. That said, it is important to keep in mind that unlike Landsbergis, none of these candidates managed to take a win in their single-mandate districts, thus the LSDP would have to work long and hard in nurturing their popularity and charisma. Finally it is unclear whether Budbergytė has a wide enough outlook to be anything more than a finance specialist, similarly with Linkevičius as a leader of diplomacy, which interests very little of the electorate. Finally it is very likely the LSDP will make no leadership changes after the loss, only resorting to lower level changes. One way or another the party will likely have at least 20 seats in Seimas in the end and all of the old guard will enter, so there is little incentive to change while the party is not yet on the edge of the proverbial precipice.